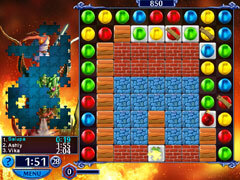 Solve numerous puzzles and mini games by collecting balls of the same color! 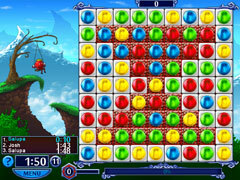 Crazy Balls is a big and colorful match-3 game featuring a large variety of game modes. 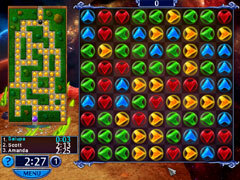 Assemble missing parts of puzzle in classic mode, fight hordes of zombies in Zomboball mode, destroy fierce sea creatures, take part in a car race, sink enemy ships, pass through numerous mazes, avoid falling stones by exploding bombs and sending lightning bolts, stop chemical reactions or solve position and logical puzzles by collecting balls of same color. You can play without time limits or enjoy the game in Relax mode. Earn up to 35 awards.